5 Best Residential Proxy Providers 2019: Buy Residential IP proxies Now! Do you ever get “403 error” when you use the proxies for web scraping or cooking shoe via sneaker bot like AIO bot? That means your proxies are blocked by the websites, This post I would like to let you more detail about the Residential IP Proxies. Residential Proxies are hard to get IP banned or blocked by the website, even the sneaker websites! What are the Residential IP Proxies? Residential IP proxies are the rotating proxies back-connect to the proxies gateway that can access a residential IP proxy network. Those Residential IPs are from an Internet Service Provider (ISP) that is wired directly into your home or to a cable or DSL. Anyone use the internet, Regardless of an individual or a business, requires a residential IP address. When the user makes use of the residential IP proxy, the proxy provider will be lending you its IP address as it connects you to its ISP, Just like you borrow the address and location of the ISP provider, Here I will let you know How the Residential Proxy Provider run the Proxies. 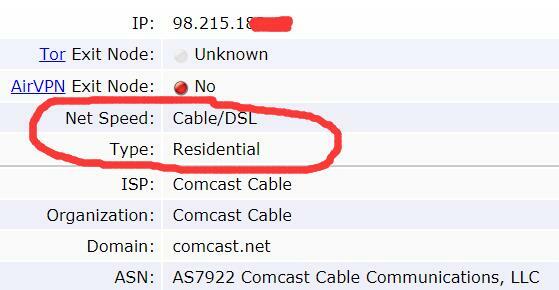 1 What is the Residential IP address? 2 How do the Residential Proxies work? 3.1 Are the Residential Proxies Never Get Blocked? 3.2 Are the Backconnect Proxies same as the Residential Proxies? 3.3 Are Residential Proxies Safe to use? 3.4 What is the speed of your residential proxies? 3.5 What is a thread/connection? 3.6 Residential Proxies or Datacenter Proxies? What is the Residential IP address? Before to learn the Residential IP address, I would like to let you know the Dedicated proxies at first. The Dedicated proxies offer the static IPs to use, they are located in data-centers around the world and you connect to the data center IP that the websites may detect you use the proxies based on the ISP providers, such as if the IP address belongs to cloud server or hosting company. You can get your IP detail on the IPleak.net, which is just small IP test websites, So, That’s do really easy found you if you are using a datacenter proxy or not by other big websites, like Adidas, Nike, Supreme, Google, Amazon and so on. The Residential IP address is from an Internet Service Provider (ISP) that is wired directly into a Home cable or DSL. Compare with Dedicated proxies, It’s hard to run the Residential proxies as static IP, That’s why 90% of Residential Proxy Providers offers the the Residential Proxies use the “backconnect” ways to run the proxies, that means the IPs will change all the time, the IP address is rotating via their proxy gateway. How do the Residential Proxies work? This type of backconnect Residential proxies allows you to connect to a fixed IP: port as the proxy gateway And the proxy gateway rotate the connection to get a new Residential IP address base on each session (or Request). The limit on this type of proxies is via threads. So, Every new session or request will automatically change the IPs. This type of Proxies is good for SEO tools such as scrapebox, GSA search engine ranker, and Domain Hunter. Also, it good for Data Scraping, Providers like GEOsurf and Luminati offer you API to handle their residential proxies, You can use their proxies via PHP, curl, python and more. This type of backconnect Residential proxies allows you to connect to a port, One Port just means a Residential Proxy, and the IP of Residential Proxy rotate base on a fixed time, such as 5 minutes. The limit on this type of proxies is Ports that you buy. GEO Location – The Residential proxy service use the P2P networks which means that you can choose the proxies from different GEO location for you different purpose. Sneaker websites – You can use the Proxies Works for Sneaker websites, Such as on Adidas, Supreme, Nike, Finishline, Footlocker, SneakerNStuff, Champs Sports, Footaction, Eastbay, Yeezysupply and other shopify sites. Classified Ads Site – Though the some of Proxies Works for craiglist and compare with the datacenter IPs, the Residential IPs are more good for the Craiglist or other Classified Ads sites. Social Marketing – You can use the Residential IPs to create accounts on facebook, G+, twitter, instagram, pinterest and youtube, the Residential proxies may help bypass the “verify your Phone No.” and I only suggest you use the Residential proxies to accounts registration but not manage. Tickets Sites – Residential IPs are also Works for tickets websites like ticketmaster, axs, eimarketplace,etc. Amazon – The Residential proxies are the best solution for data scraping or websites crawling on amazon or other hug websites. Are the Residential Proxies Never Get Blocked? A: Obviously No, there are not Possible to find the proxies which are never get banned! Some of the proxy providers or guys who sell the proxies on twitter tell you their proxies Never get banned, that’s must be misleading. There are lots of reason to ban the proxies by the sneaker websites, one reason is the requests sent by one IP address. And Lots of Residential Proxy providers offer lots of residential proxies, but the proxy server of gateway network which may leak your behavior, if the Gateway IPs of the proxy server are marked and blacklist, all of their IPs in the p2p network may be banned! Are the Backconnect Proxies same as the Residential Proxies? A: Obviously No, Lots of Proxy Service run the data center proxies as the Backconnect Proxies, such as Storm Proxies, Blazing Proxies, and ProxyRack, Which all offer the datacenter Backconnect Proxies. So, there are a lot of guys who puzzle about that, both data-center IPs and Residential IPs are can be used as the Backconnect Proxies..”Backconnect” just mean How the Proxies Run. Are Residential Proxies Safe to use? A: I can not assure that and I think the answer should be the “No”! Lots of guys are anxious is safe to use the Residential Proxies, I am also anxious about this problem! Specifically, lots of guys who sell the Residential Proxies on the twitter…i advice you stay away to those guys, for all of your data go to another one’s network..Lots of proxy scammers on twitter. No one can assure your personal information is safe, Also some of the guys use the botnet, even more, some guys use special Trojan viruses to run the p2p networks, So I do not think which is safe to use. Even the Luminati who run the biggest p2p networks for Residential Proxies, I do not think its 100% safe to use! In short, there are some benefits on Residential Proxies, but then I am always anxious about my data security when I use Residential Proxies…That the reason I only use the Residential Proxy Providers that may reduce the probability which is been cheated. What is the speed of your residential proxies? A: The Private Dedicated Proxies are the Fastest proxies online, that use fast Dedicated server with 99% up-time. So Now we are discussing the speed of your residential proxies, The speed varies a lot and they are not considered fast when compared to datacenter proxies. Every time your software, SEO Tools or computer program wants to do a task it uses at least one connection. So For loading a webpage generally Need more than 10 Connection / Threads. 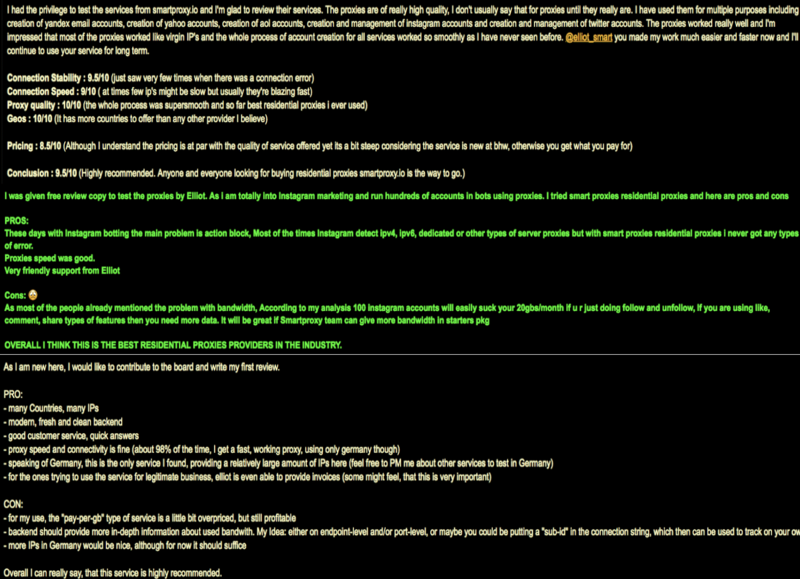 Having more connections/threads available means you can process larger work queues faster. Residential Proxies or Datacenter Proxies? A: When choosing between residential proxies Vs datacenter proxies it can be said that residential proxy comes from ISP, while data-center proxy comes from a secondary source. Big internet companies like Google and Facebook, keep checking for false proxies and blocking of such proxy IP addresses. Data-center proxies are most suspected for all types of scams. Users of Residential IP address are not considered as dangerous spammers as they are considered as individuals browsing casually through the internet, with a genuine IP address. Residential proxies have a lesser chance of getting blacklisted. The residential IP connections and datacenter proxies have the same purpose of hiding the true IP from others. The user identity is hidden. Though both are considered safe, each has its own type of scams and spoofs. Based on the purpose of the connection, you will have to determine the type of connection required. You can make use of the IP address of the desired location or hide your IP address altogether. This is choosing between Residential proxies Vs Datacenter proxies. Residential IP’s are more legitimate as they are assigned to residents only. Security systems consider them more genuine. There are fewer providers and the monthly subscription is quite expensive. Datacenter IP connections are easier to get for bulk connections. As the number of datacenter proxies is higher, it is easier to get bulk connections and they are easier to obtain and work out to be more economical than bulk residential IP addresses. It is best to do some research before you pay for your proxy connection. If what you are doing is legal, you will not b worried about being found out. When you are doing illegal activities, you will have to be worried about technical expertise in getting everything covered. It is best to do away with illegal activities. You can test your proxies before purchasing them. By signing up for free, you can request for a free proxy trial that is usually provided for 24 hours. Before using the proxy, you can research for directions to use the proxy with the specific software of the browser. Datacenter IP’s are considered less legitimate, as spammers and nefarious users prefer datacenter connections. If your requirement is just safety and anonymity, it would be preferable to avoid datacenter IP’s. Most residential IP’s are provided by a company named Luminati. They also run Hola, which is considered as one of the largest providers of free VPN services. Users of Hola can also share their IP with customers of Luminati. There are several shady companies that provide residential IP connections but also make use of the same connections to be offered to other users and generate a monthly income through such dealings. It is best not to choose popular sellers as they have a number of users and sometimes there is a tendency to make use of their residential IP’s to be distributed as datacenter IP’s. If you are a genuine user and your only concern is to hide your identity, you will not require too many security protocols. In such cases, you can make use of the residential IP’s to meet your business needs. It is easy for online securities to identify if you are connected with a residential or datacenter IP address. To avoid being blacklisted, you can choose a good residential proxy for your business. It is important that you choose a reliable seller to get the best results. You can choose a reliable seller instead of a big name. Do not choose an unknown seller. In the current situation, it is tough to identify a true residential proxy and a true datacenter proxy. If you require more identity, you can check the provider name mentioned on the forum. If the provider is a data center under a corporation, you will have to be careful about such providers as there are chances of being banned. While choosing between Residential proxies Vs Datacenter proxies, it is always best to be vigilant about your choice. Luminati is being used by Fortune 500 companies as they provide brand protection, ad verification, comparison, etc. The user gets connected to any network on the Web. Data centers are provided around the globe. Luminati provides residential IPs, Mobile network IPs, Datacenter IPs for a complete view of the Web. There are more than 25 million IPs provided around the globe such as South America, the US, Canada, Europe, Asia-Pacific, etc. There are various pricing plans under Residential IPs such as Starter plans, Production plans, Plus plans, High volume plans and Growth plans. Luminati provides great service for businesses that are IM related and for SEO. The inbuilt IP rotation is a management layer that helps to send all HTTP and HTTPS requests through its millions of IPs to all centers in countries located worldwide. By using a proprietary algorithm the communication protocol is encrypted. As all traffic is secured at the IP level, the websites cannot locate the origin of the users. It is best to use concurrent sessions to speed up the Luminati services. Customized Service: with custom headers and user agent, Luminati is fully customizable with these special features. You can browse through any city or country with just a click. Hassle-free Installation: installation is very easy with Luminati. There is no need of any code. You just have to install, choose the country required and start browsing. Business and Employees: The management finds it great for business, especially when there are multiple employees employed. With lightning speed, Luminati works to enable users to harvest data around the globe. The concurrent request can be sent at a time and they work at a fast speed with unlimited service. It also helps to extract data from websites that are involved in frequent blocking. Luminati is considered the largest proxy network with millions of IPs to its clients. As Hola network owns Luminati, the network is much bigger and provides access to more countries and the network provides residential IPs which are very realistic. The residential IPs can be easily switched to static and vice-versa. Quick service and integration are available with the advanced proxy manager which also provides a smooth start. Luminati helps in brand protection by protecting its pricing strategy, trademark, and intellectual property. Ad verification for its integrity check is possible. It also eliminates backlinks and false advertisements. All online assets can be protected on both the mobile and web devices. Customer preference is easily understood, which is essential to understand and target the customers for each service. Residential Rotating Proxies from StormProxies offer USA IPs and EU IPs which you can choose by yourself. The IP rotates for every 5 minutes and you get access to IP pool of 40k. There are different rates for each package. Packages are provided for 1 port, 5 ports, 10 ports, 20 ports, and 50 ports. With one port you get just 1 IP. Port is one proxy gateway in which the IP address keeps changing every 5 minutes. When you copy the IP and the proxy gateway into your software, you can see the automatic change in the IP from the IP pool. For Nike, Supreme and Adidas, the rotating proxies are best for these sneaker sites to bot sneakers successfully. The chances of getting banned are very, very remote. As the proxies keep rotating they are considered better than dedicated proxies. Rotating proxies are useful for many activities. Storm Proxies is considered as one of the best proxy providers currently. With a wide range of configurations, they provide Dedicated Rotating Proxies (Reverse Backconnect Proxies), Dedicated Proxies, Residential rotating proxies. Dedicated Rotating proxies same as “Reverse Backconnect Proxies” offer fast proxy connection form data center which is considered Good for scraping sites and suitable for SEO tools. Residential proxies are good to access sneaker sites, as datacenter proxies are prone to get banned when compared to residential proxies. If you want to Cop sneakers online, such as Adidas and Nike, The Residential proxies from StormProxies is a good choice. GeoSurf goes hand in hand with global business. It helps to monitor all geo-targeted content, for validation and for QA from over 120 locations. The main features that set GeoSurf apart are the speed, security, and reliability. Providing transparent service for accuracy and for reliable results, GeoSurf has excelled others in this area. None of the ads or content is altered and is provided just as it is. GeoSurf comes with three options. They are GeoSurf Residential IPs, GeoSurf Premium Static Network, and GeoSurf Static Network. Every request is provided with a new IP, while the sticky IPs can be constant for 1 to 10 minutes. Statistics & Dashboards – Detailed usage statistics for your account will allow you to monitor and optimize your data collection process. Coder Friendly API – Geosurf API has copy paste code examples in every common programming languages. Security: GeoSurf enjoys premium proxy network and owns its own servers. This helps to provide users a good browsing experience that gives them full security. This security can be trusted, as GeoSurf legally signs an agreement with their customers ensuring that any data or search history will not be released nor will they used on any occasion. A new IP is provided for every request for better security. The sticky IP can be made to remain the same for 1 to 10 minutes. Speed: GeoSurf provides connections that are fast and speedy. Using the latest technology such as Automatic Bandwidth Optimization, users are provided with fast connections provided through the premium proxy network on each gateway. Reliability: GeoSurf provides reliable services and can be trusted. With its corporate office located in Tel Aviv, considered as one of the busiest location and with many years of service, they are a trusted name. The customer service functions 24 X 7 and contacts through phone, online chat, email, FaceBook, Twitter, LinkedIn, etc., is easy for all its users. The management team provides good customer service, backed up by knowledge and experience. A unique feature is the inbuilt IP rotation that provides high performance and great scope for all enterprise-level activities. This helps users to send any number of parallel requests through its IPs, which are verified and working, making sure that users never get blocked. The residential IPs is clean and never blocked as proxies. This is possible through the combination of the residential IPs and proxy masking. This is especially useful for making all types of research and access new markets as well as verticals. Transactions flows can be verified. With UI components that are localized, it makes work easier. There are around 199 geo locations which include Canada, US, Mexico, Argentina, Colombia, Brazil, Germany, Thailand, etc. It provides the best service for the multi-country proxy. GeoSurf is very coder friendly as examples of its copy paste code is provided for API, in all of its programming languages. The data collection process can be easily monitored through its statistics and dashboards. 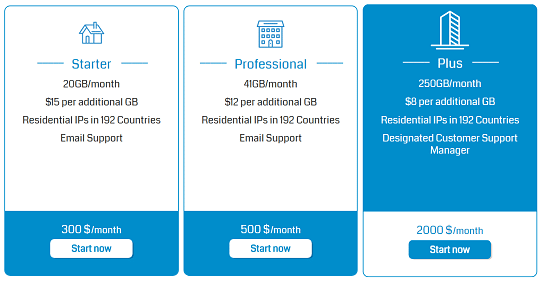 Unlimited access is available through its IPs pool with various plans, connections, and threads across almost all countries. There are starter plans providing 20GB per month, Professional Plans providing 41GB per month, Enterprise plans to provide 2TB per month, Plus 250GB per month. Each plan is priced differently. However, it can be said that GeoSurf is a bit pricey. Another leading proxy network is Microleaves. It generates more than 26 million per month. The residential IP are available in packages. By providing a guaranteed 99.99% uptime, they have been able to withstand stiff competition among proxy service. Providing unlimited bandwidth, and speed, they also have good support teams for non-stop service. The proxy services provided are the Dedicated proxy, Shared Proxy, and Backconnect Proxies. The super speed at 1 GBPS with unlimited bandwidth. The IP addresses provided are true IP addresses and not fake ones. Backconnect Proxies make use of proxies such as HTTPS, HTTP, Socks4, and Socks5. They provide more than 26 million IP addresses and are very fast. They also help to change the IP address for every 5 minutes to keep the user protected and hidden. Sometimes, the users are provided with an IP address for every city across the globe. The proxies keep changing their IP addresses for users every 5 minutes that is unique to it. In this package, the user has 25 ports to start. All the orders are processed automatically within minutes. They are compatible with all software in the market and help to connect to sneaker websites such as Adidas, Footsite, Nike, etc. Users can harvest data easily, while the orders have automatic processing. There are various plans with Basic Backconnect Residential Proxies of 25, 50, 100, 250, 500, 1000, 2000, 3000, 4000 and 5000 packages. They are perfect for Data Mining and Crawling. The proxy location is selected easily from the control panel. The location can also be selected using API provided with the Special Backconnect. Smartproxy is a new rotating residential proxy network which enables users to gather any data from the web using a pool of over 5 million proxies. There are endpoints (more than 50 IPs) in over 130 countries around the world. Avoid being detected as a bot using smart residential proxies. Use an unlimited number of connections and threads at once. Target country-specific IPs without being blocked. As a residential proxy provider, they have a very low ban rate as their IPs are private IP addresses from various worldwide ISP’s, meaning that all your requests will be routed through real desktop and mobile devices when accessing the web. Smartproxy secures and encrypts all traffic at the IP level. Traffic to target websites originates at a residential IP that is not associated with your user account. Using these residential IPs ensures a high anonymity level. Rotating proxies – which are changing with each new request. Sticky IP sessions – to control your session for a longer period (stick the same IP for 5 minutes). Residential proxies can also be accessed through country-specific ports using your login credentials (username and password) or via whitelisted IPs. Proxies work like virgin IP’s. Highest performance – the network is optimized for lowest latency and fastest speed. These are legit residential IPs from different worldwide carriers. 24/7 Customer Support and impressive customer service. You can use the proxy pool with almost any application that supports HTTP/HTTPS Proxies. They support all popular web browsers, social marketing automation and sneaker bots (Jarvee, Another Nike, Supreme, BNB, Nike Slayer, Easy Cop, AIO, and others). Smartproxy residential-level IPs work great with all search engines and scrapebox. Also, it is good to verify ad integrity using millions of smart residential IPs, so you can eliminate misleading advertisements, avoid malware and broken links. Moreover, it will work with: tickets, Pinterest, tinder, pokemon GO, ad verification, retail intelligence, brand protection, SEO, SERPS, crawling and, scraping. Smartproxy proxies can be configured with all major automation bots. If your software runs on a dedicated server or on your local machine, you can simply add the machine IP to your whitelisted IP list. Last, About price plan on their proxies, Every Smartproxy plan has a full 3 days money-back guarantee: you simply order any package, test it for three days and in the unlikely case you are not satisfied with their product, they will refund you in 24 hours. ProxyRack, the Australian?company?has been able to provide, clean and secure software to its users. Provide with various pricing plans, they are based on the maximum threads that you will be able to run through your servers. ?ProxyRack allows its users to use Residential?IPs from more than 40 different countries which includes countries like United States, Australia, United Kingdom, Europe, Russia and many other countries. 20 new IP’s are provided for every request. As ProxyRack is partnered with a big Adware company, they are allowed to use their customer base, from which the IP’s come from. 250 of 10 minutes, rotating IP ports are allotted. You can access thousands of IP addresses that are private and unique. They are provided with unlimited bandwidth. They support HTTP, SOCKS and HTTPS protocols. They make use of the user and the password for authentication. All the IP addresses are provided with private proxies and not with public ones. They come with high anonymity and your IP address will not be leaked. They come with a 14-day money-back guarantee. There are two types of Residential proxy ports that come along with the packages. This helps to provide access to 2 different systems. This port helps in the automatic assignment of a new IP that is unique to the user’s connection for every thread or connection that the software uses. This port helps in keeping the same proxy or the same IP address, static for ten minutes by which you can complete all your requests by using the same proxy. ?Every 10 minutes the ports you are connected to, automatically rotate. There are various packages and plans for each. Residential Rotating Proxies: These come from different residential and other IP’s located worldwide. They work with medium speed and are great for web browsing. They are usually used by advanced users. They use HTTP and HTTPS protocol. They also use SOCKS and SOCKS5 protocol. There are more than 1,250,000 unique IP’s per month, from this package. USA Datacenter Proxies: These proxies are for USA locations exclusively. The speed and reliability are very high, as they use the USA datacenters. There are more than 10,000 unique IP’s in this package. They are provided with fast speed and have high reliability. They use HTTP and HTTPS protocol. They are Good for web browsing. Mixed Datacenter Proxies: These proxies are provided with mixed datacenter locations around the globe. The speed and reliability are very high for these proxies, as they use European datacenters. They are provided with fast speed and high reliability. They use HTTP and HTTPS protocol. I’m currently using Smartproxy with a Supreme bot. Works wonderfully. Would not hesitate to recommend.